This is a lot of fun! It collects the 12 chapter series that was originally published in the 1992 issues of "Nintendo Power" magazine. 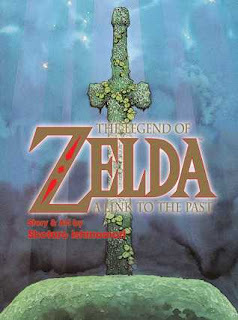 It's certainly a story for juveniles but still a fun read for anyone who likes Zelda. I only ever played the original NES game but I've watched my sons play every incarnation since then. This is loosely based on the game of the same name, with changes to add excitement. I love the art! It reminds me of Akira Toriyama's style and I love the book's magazine size with full-colour glossy pages.